Note: The lists exclude “BCS” teams and are in no particular order. 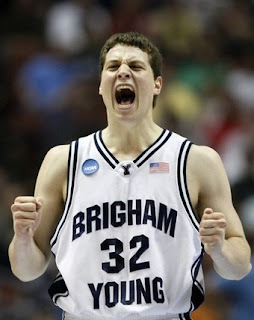 Jimmer Fredette: Might be the best scorer in the entire country, Fredette can put up 30 in a hurry on any given night. Kawhi Leonard, San Diego State: One of the most underrated forwards in the country, he is a double-double threat every night. Elias Harris, Gonzaga: The German import was a surprise last season, becoming one of the best freshmen in the country. Charles Jenkins, Hofstra: A strong, quick point guard, Jenkins is one of the best scorers in the country. Aaric Murray, La Salle: Future NBA prospect will have to become more aggressive down low for the Explorers. Wesley Witherspoon/Will Barton/Joe Jackson, Memphis: This perimeter trio stacks up with anyone in the country, at any level. Kevin Anderson, Richmond: Won’t have David Gonzalvez as a sidekick anymore, so he will need to shoulder more of the load. Juan Fernandez/Lavoy Allen, Temple: Fernandez is a scorer on the perimeter and Allen is a double-double lock down low. Tu Holloway, Xavier: Without Jordan Crawford filling it up, Holloway will become more than just a guy who runs the show. Shelvin Mack/Ronald Nored, Butler: Both players are excellent defenders, and Mack is a very difficult player to guard. Chris Wright, Dayton: The high-flying Wright is a highlight reel waiting to happen every time he touches the ball. Damian Saunders, Duquesne: Undersized big man for the Dukes, Saunders creates match-up problems with his skill set. Dairese Gary, New Mexico: Gary can score and distribute at a high rate, but can he continue that without Darington Hobson? Mickey McConnell/Matthew Dellavedova, Saint Mary’s: Both players can shoot the three and pass the ball well, and are interchangeable. Vernon Teel/Drew Viney, Loyola Marymount: If a group is going to take down Gonzaga, it will be because of this inside-outside duo. Kyle Weems, Missouri State: One of the most versatile players in the country, Weems can shoot the three and also defend. Delroy James, Rhode Island: James can get to the basket effectively, and averaged more than 19 points per game in the NIT. Wendell McKines/Troy Gillenwater, New Mexico State: Both players are highly productive forwards up front for the Aggies. Tre’Von Willis/Chace Stanback, UNLV: Two former transfers form a wing duo that can carry the Runnin’ Rebels to the NCAA Tournament. Tai Wesley, Utah State: Wesley is a very versatile forward, with the ability to score, rebound, defend and distribute. Denzel Bowles, James Madison: Vastly underrated on a national level, Bowles put up nine double-doubles last season. Chris Gaston, Fordham: One of the most productive players in the country, Gaston is stuck on a terrible team in the A-10. Gary Flowers, Southern Mississippi: Although Memphis has most of the talent in the conference, you can’t overlook Flowers. 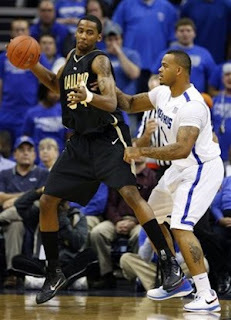 Keith Benson, Oakland: Benson can dominate offensively down low, but he is also a big-time shot-blocker and rebounder. Kenneth Faried, Morehead State: Faried is very athletic and is fun to watch. He can make an impact at both ends of the floor. Adnan Hodzic, Lipscomb: He has scored in double-figures in 57 straight games, and will be even better as a senior. Damain Lillard, Weber State: Dropped at least 20 points on 17 different occasions; can fill it up and also distribute. Derek Needham, Fairfield: Emerged as a top-notch point guard as a freshman, and will only get better his sophomore season. John Holland, Boston University: Holland ranked in the top-10 of the America East in 10 different categories, including scoring (19.2 ppg). Anatoly Bose, Nicholls State: Bose can absolutely fill it up; he scored at least 38 points on three separate occasions last season. Alex Young, IUPUI: Young gets overshadowed by Benson within the conference, but he is a big-time scorer and can carry the Jaguars. Sergio Kerusch, Western Kentucky: Missed 14 games a season ago, but the versatile forward will become the Hilltoppers’ go-to-guy. Noah Dahlman, Wofford: Dahlman struggled a bit in the conference and NCAA Tournaments, but he is a load to stop down low. Justin Rutty, Quinnipiac: Rutty is only 6-foot-7, but he put up double-doubles in 12 of his final 15 games last season. Ryan Rossiter, Siena: Siena loses most of its big guns from last season, but Rossiter is a double-double lock and can dominate inside. Donald Sims, Appalachian State: Sims is a lights-out shooter from three, and he scored double-figures in 35 of 37 games last season. Cameron Jones, Northern Arizona: Jones dropped at least 20 points in 13 of his last 17 games last season, and can really fill it up. Kevin Thompson, Morgan State: Without Reggie Holmes and his 21.5 ppg, Thompson will need to continue his double-double ways. George Odufuwa, North Texas: He might be the best player in the Sun Belt; averaged a double-double and shot better than 60 percent.